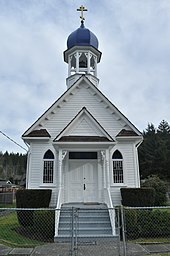 Holy Trinity Orthodox Church, built 1900, is a legacy of the many Eastern Europeans who came to work in the mines and quarries around Wilkeson. "Frank's father died in 1889 but by then another Wilkeson was investing financially in the Puget Sound: Samuel Gansevoort Wilkeson, Frank's older brother. Samuel G. first came to Tacoma in 1873, the year that town was chosen as the terminus for the Northern Pacific. He was a contemporary of Tacoma boomer Leonard Howarth and became wealthy in his activities with the same companies as Howarth — the St. Paul & Tacoma Lumber Co. and the Wilkeson Coal & Coke Co. That company mined coking coal in the town of Wilkeson, the town near Enumclaw that was named to honor Frank's and Sam's father." Wilkeson hosts the annual Handcar Races. Near the towns of Buckley and Carbonado, Wilkeson is located at 47°6′25″N 122°2′54″W﻿ / ﻿47.10694°N 122.04833°W﻿ / 47.10694; -122.04833 (47.107066, -122.048263). Wilkeson is situated near to the northwest corner of Mt. Rainier National Park. To the south of Wilkeson is the Carbon River access to the Park. Unimproved roads from the east of Wilkeson plunge deep into the park. One Road, FS 7720 leads to within 200 yards (180 m) of the Wilderness Boundary. According to the United States Census Bureau, the town has a total area of 0.47 square miles (1.22 km2), all of it land. This region experiences warm (but not hot) and dry summers, with no average monthly temperatures above 71.6 F (22 C). According to the Köppen Climate Classification system, Wilkeson has a warm-summer Mediterranean climate, abbreviated "Csb" on climate maps. 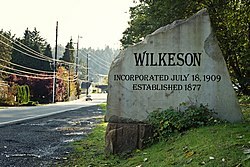 Wilkeson was once much larger, boasting a population of 1,437 in the 1910 census. Evans Creek ORV (Off Road Vehicle) park at the base of Mt. Rainer, Washington, near the end of SR165. As of the census of 2010, there were 477 people, 169 households, and 129 families residing in the town. The population density was 1,014.9 inhabitants per square mile (391.9/km2). There were 175 housing units at an average density of 372.3 per square mile (143.7/km2). The racial makeup of the town was 96.2% White, 0.6% African American, 0.4% Native American, 2.3% from other races, and 0.4% from two or more races. Hispanic or Latino of any race were 3.4% of the population. The median age in the town was 33.9 years. 29.4% of residents were under the age of 18; 9% were between the ages of 18 and 24; 25.1% were from 25 to 44; 28.9% were from 45 to 64; and 7.5% were 65 years of age or older. 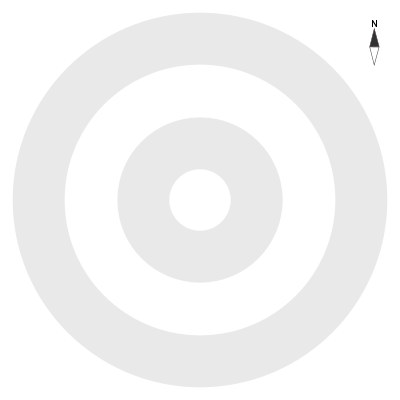 The gender makeup of the town was 50.9% male and 49.1% female. As of the census of 2000, there were 395 people, 140 households, and 100 families residing in the town. The population density was 810.0 people per square mile (311.2/km²). There were 150 housing units at an average density of 307.6 per square mile (118.2/km²). The racial makeup of the town was 95.95% White, 1.01% Native American, and 3.04% from two or more races. Hispanic or Latino of any race were 1.52% of the population. There were 140 households out of which 38.6% had children under the age of 18 living with them, 58.6% were married couples living together, 10.7% had a female householder with no husband present, and 27.9% were non-families. 20.7% of all households were made up of individuals and 9.3% had someone living alone who was 65 years of age or older. The average household size was 2.82 and the average family size was 3.37. In the town, the age distribution of the population shows 30.4% under the age of 18, 10.4% from 18 to 24, 28.1% from 25 to 44, 21.8% from 45 to 64, and 9.4% who were 65 years of age or older. The median age was 35 years. For every 100 females, there were 91.7 males. For every 100 females age 18 and over, there were 97.8 males. The median income for a household in the town was $44,375, and the median income for a family was $46,875. Males had a median income of $38,250 versus $31,458 for females. The per capita income for the town was $17,481. About 2.0% of families and 4.0% of the population were below the poverty line, including none of those under age 18 and 18.2% of those age 65 or over. 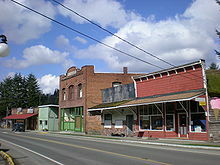 Wikimedia Commons has media related to Wilkeson, Washington.